What does it take to be successful in the sales world? Intelligence, drive, a good work ethic, being customer and company focused, knowing ‘how’ to sell in your industry and so much more. Yet all of this can be boiled down to two broader items: confidence and competence. 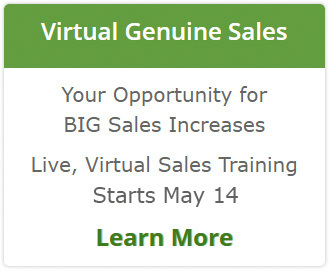 In my sales training courses, we build competence and confidence. When my prospects ask me which is more important – I’m stumped. It’s both! Being confident with competence is what is necessary. Strengthening each of these lasts and gives a healthy ROI to the training! Confidence with incompetence: You know these folks – lots of bravado and nothing to back it up. They create a trail of destruction – inside and outside the company. Often these are what people label the dreaded ‘used car salesman’ type. Lack of confidence with incompetence: Not much to say, hopefully they find another career quickly. The sad part? Often they are the NICEST people – just miscast in sales. Lack of confidence with competence: They know what to do and CAN do it – but their lack of confidence can rear its ugly head in so many unproductive ways – procrastination, lack of making contact with prospective buyers, and over preparing for everything. 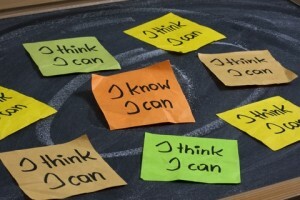 A competent and confident sales professional knows WHAT to do, HOW to do it and does “it”. They are consistent, productive and proactive. It’s Friday – let’s have some fun with this one. Please comment with examples of salespeople you have run into that fit into one of these groups.